Many young men and women living with autism will never get the chance to show what they can do, but not so for the students at Exceptional Minds, a digital arts academy for young adults on the autism spectrum. These students with autism recently showed off their talent during a made-for-Disney project that demonstrated not only their design skills, but also the soft skills needed to land and retain jobs in their chosen fields of animation, post-production and digital graphics. “What we’re learning as the first vocational school doing this is that these young people have the creativity and the training to succeed. We just have to give them a chance to show what they can do,” said Exceptional Minds Program Director Ernie Merlan. Exceptional Minds was started in 2011 by visionaries in the Hollywood and related industries to create a bridge between high school and the working world for young adults with autism. Since then, the vocational school has developed a full curriculum around the special needs of individuals living with autism spectrum disorders, and has gone on to become the first school of its kind to develop an industry accreditation program recognizing the technical proficiency of its students. 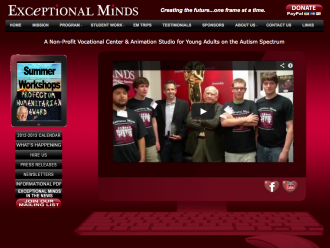 Now, in order to fully prepare its students with autism for the socially complex, often collaborative nature of the fields of digital animation and graphics, Exceptional Minds is working with industry professionals like United Front Design of Sherman Oaks, Calif., to provide internships and real-world career experience for its upcoming graduates. 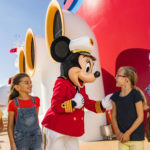 “They are giving us a way to internship our students without leaving the classroom,” said Merlan, referring to a Disney Family Movies poster project managed by United Front Design, an advertising agency that produces on-air spots, print collateral and web content for the entertainment industry. The project called for creative design of an evergreen Disney Family Movies poster, and was fraught with the challenges typical of a project of this nature – including a major setback due to an unexpected change in design requirements. Difficulty with adapting to change is one of the hallmarks of autism that could affect the job prospects of an estimated million young adults with autism coming of age in the next decade. Without adequate preparation and training in soft skills such as this, these individuals are statistically at risk for retaining a meaningful career, even though their technical skills may very well exceed others in their age group. For the project, Exceptional Minds students developed individual design compositions based on strict studio guidelines and later broke out into teams to collaborate on three comps for final submission. Sixteen students initially designed their own posters, and then United Front Design met with them as the “client” to comment and request changes, including removing a certain Disney character central to the design due to newly-imposed restrictions of use. “We weren’t sure what to expect but the students met the news the same way we did: disappointed but they took it all in stride,” said Peter Martin, co-founder of United Front Design, which had already completed and delivered the project for Disney-ABC Domestic Television but simulated the real-world challenges for the students. 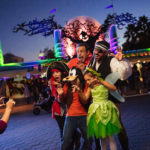 Disney-ABC Domestic Television approved the internship exercise and supplied the style guide stipulating certain colors, fonts and logo usage as well as creative assets such as movie stills and proprietary images from Disney films. “They (students) were very open to change. I think that speaks to how well this program is working. Exceptional Minds is giving these young people a new set of rules that many of them didn’t get in high school, and we clearly saw the potential as a result,” added Martin. “You don’t think of someone with autism being creative in a design sense, but these students really educated me in terms of how they’re developing those skills and also how they’re developing as people who can work in this field,” agreed Sergio Cardenas, Martin’s partner and co-founder of United Front Design. This month, Exceptional Minds also kicked off a job readiness program as another way to address the job retention challenge faced by its students. This is in addition to its ongoing student involvement in a number of work assignments that include projects such as the closing title work for the 2012 major motion picture Lawless.